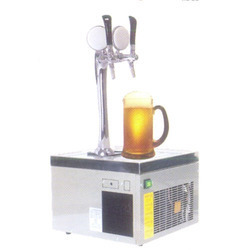 Pioneers in the industry, we offer Beer And Beverage Cooling Solutions such as Beer and Beverage Cooling, Beer Cooling Solution, Beer and Beverage Cooling Solution and Beverage Cooling Solution from in Pune, India. With a precise understanding of the relevant industry, we introduce ourselves as the leading trader, wholesaler and supplier of Cooling Solution. Designed with the usage of best-grade components and innovative technology, this cooling solution is extensively appreciated by our prestigious clients for its long service life and high functionality. In addition, our offered cooling solution is made available in diverse technical specifications in order to comprehend the diverse necessities of our prestigious clients. Looking for Beer and Beverage Cooling Solutions in Pune ?